Magnets are substances or objects that attract other objects to themselves. It is believed that the earliest magnet was discovered in 800BC as a stone that showed travelers way (loadstone otherwise known as magnetite from magnesia). Elements such as iron, cobalt, nickel, some alloys, steels, which are attracted by the magnet are regarded as magnetic material while substances or elements such as copper, brass, wood, glass, rubber, rubber, plastic, are not attracted by magnets and are termed non-magnetic material. Temporary magnets are magnets that are easily made and easily demagnetized because their magnetic molecules are easily arranged and demagnetized easily. Temporary magnets appear to be permanent magnets, however, they lose their magnetism when the magnetic field is removed. For example, when iron nails are clumped to a magnet they form a single file in the arrangement but when the magnet is removed, the magnetic properties of the iron nail had been lost. This shows that iron magnetizes and demagnetize easily. Temporary magnets are applied in electric bells, telephone earpiece, magnetic relays and the induction coil. Permanent magnets cannot be easily magnetized or demagnetized because their magnetic molecules are not easily arranged. Steel is a very good example of material used to produce permanent magnets, and steel keeps its magnetism much longer than iron and is more preferred for making a permanent magnet. Application of permanent magnet includes electric motors, generators, and loudspeakers. Iron fillings are always attracted to the ends of a bar magnet called poles. A magnet has two poles: north and south poles. The idea of poles on magnets was determined by William Gilbert who first suggested that the earth is a magnet with the north and south pole. In magnets, like poles repel while unlike poles attract. A freely suspended bar magnet in a horizontal plane will come to rest with its axis pointing approximately north to south. 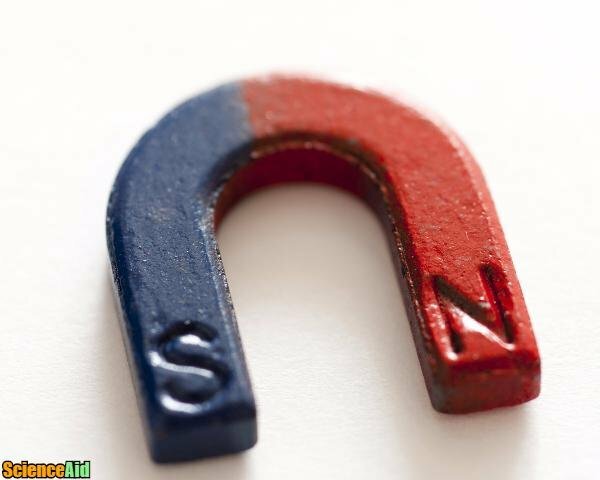 Magnetization is the act or process by which magnet property is being derived to a non-magnetic material. However, it can be described as the process by which magnetic material is attracted to a simple magnet. In this section, we shall discuss the methods used in achieving magnetization. The single touch method applies magnetism to a steel bar by rubbing the steel bar with a permanent magnet. 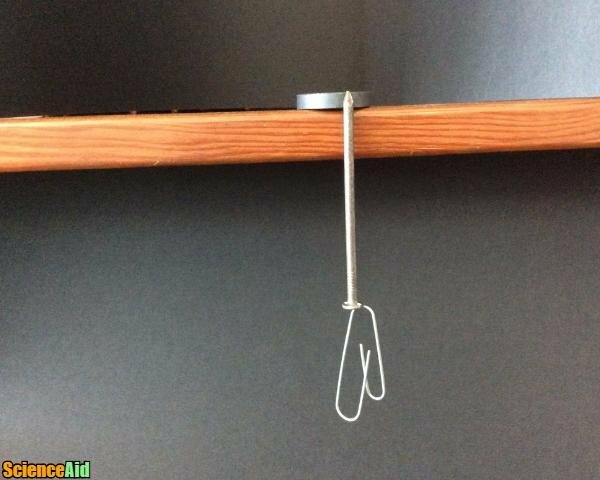 The magnet is raised each time it reaches the end of the bar. A stage is reached when the last touch produces or results in a pole opposite to the side pole of the magnet. Half of the steel is continuously rubbed in the opposite direction and on opposite pole. The same process is used as in the single touch method. Given the magnetism of the earth's surface, magnets are made by hammering a steel bar on the surface of the earth placed in a north-south direction and inclined at 70º. The upper part of the magnet will have a weak south pole, and the lower part will have a weak north pole. The electrical method involves a solenoid of a long coil of insulated copper wire is connected to the battery at both ends of the terminal. Then a steel bar is placed into the solenoid, the current is switched on for few seconds and switched off. The direction of the current determines the poles, where the current passed in the pole is south pole and where the current leaves the pole is north pole. When the experiment is carried out on the steel bar, it shows the steel bar has become magnet. Demagnetization is the removal or loss of magnetism from a magnetic material. When a magnet is heated until it is red hot and then placed in the east-west direction, the magnet property will be lost. A magnet can be demagnetized when it is repeatedly hammered while pointed in the east-west direction, about 90º to the earth magnetic field direction. The hammering randomly disorganizes the arrangement of its magnetic property. Since the best way to produce magnet is an electrical process, the best way to demagnetize is the electrical method. Instead of connecting the terminals to the battery, terminals are connected to an alternating current in the east-west direction. After a few seconds, the magnetic property is taken away from the solenoid though the south pole and placed a distance away from the solenoid. MLA (Modern Language Association) "Magnets." ScienceAid, scienceaid.net/Magnets Accessed 25 Apr 2019. Chicago / Turabian ScienceAid.net. "Magnets." Accessed Apr 25, 2019. https://scienceaid.net/Magnets. Thanks to all authors for creating a page that has been read 242 times.